You no longer have to worry or be disappointed about having to miss a few minutes of your TV show when you have to leave the room. So if commercials are on and you want to get a few chores done, do not hesitate, you will be able to hear when your show comes back on. The surround sound feature of the headphones is going to change the way you watch TV. No longer will others disturb you when you are watching TV and you will not disturb others. You can have the volume turned up as much as you want without troubling others. This is possible once you put on the headphones; only you will be able to hear the music, dialogues and sounds coming from the TV. The headphones are wireless. The sound effects are theater quality and many My Zone headphones Reviews online have confirmed this. My Zone Headphones Features: These headphones are simple wireless devices designed to give you hours of listening pleasure. The earpieces on the headphones come with soft cushiony covers, which are very comfortable and you can keep them on for a long time. The headphones are compatible with all television models. The headphones will transmit sounds up to 100 feet. 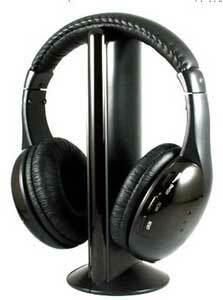 The MyZone Headphone system is very easy to install. You can do it in a few seconds. The stereo effect makes watching your favorite movie or sports show even more exciting and enjoyable. You can do your chores in the garden, backyard or any other place as long as it is within 100 feet of your TV.